What weighting factors, or other options, have I missed? This is a common misconception, distance does not make up speed on its own. Compare using the old single network cables out of metal to the newer multiple glass fibre cables systems, like EuroDOCSIS 3.0. 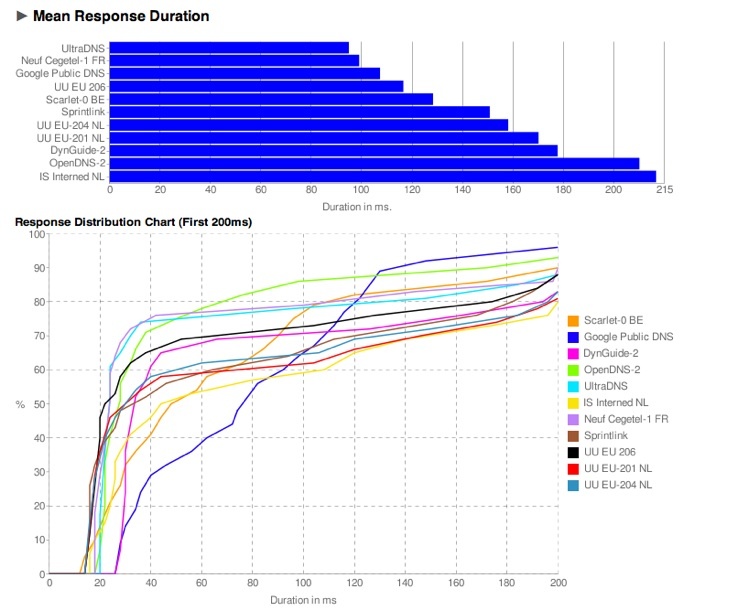 Hosting your DNS router/server might be the fastest, though it doesn't have all the DNS records stored! 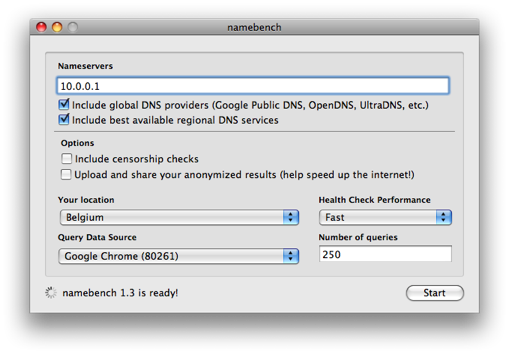 namebench by Google can help you pick out a better DNS server, the rest in your question is subjective. It comes with a top customised top 50 list (which both Google and OpenDNS are usually listed) that will find the best 50 servers to test based on your IP. It does a very thorough test and will tell if the server supports DNSSEC and if they redirect bad domains to their own landing page instead of giving a "Invalid Domain" response. 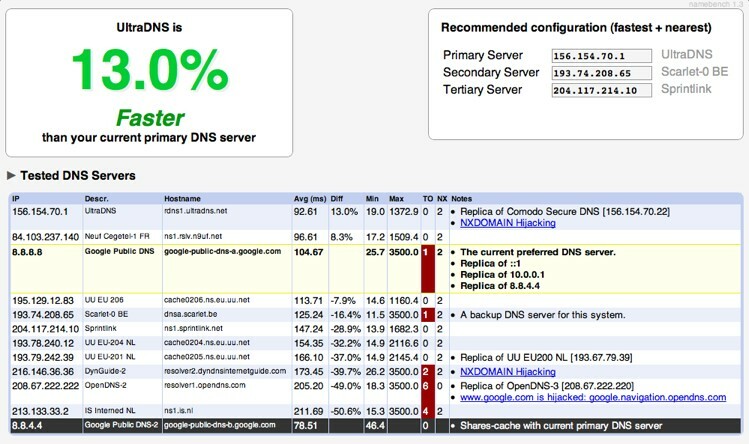 Many Content Distribution Networks use your DNS server to route you to an optimal location, using Google or OpenDNS means that they may not be able to route you optimally - Using Google DNS for Google content will get you GREAT performance from them, but not anyone's DNSLB, or a cdn like Limelight, Level3 or others, using OpenDNS damns you with everyone. Google put out an RFC about some suggested fixes for this but they are not implemented so you stay screwed by using non local name servers. Consider configuring your own caching DNS server with dnsmasq or another project like named. I find that having control over this greatly speeds up my browsing past the first request. Your OS may also allow you to control its own built-in cache. One thing you missed is..
You can perceive of a DNS service doing some of the following. Replacing certain requests with results that serve themselves. Throttled service concerning parties that don't benefit them. For instance, The reason I would never use OpenDNS is because they resolve all unresolvable addresses to a special OpenDNS ip address which, if I recall correctly, opens a search for the unresolved request with advertising by OpenDNS. I find this incredibly annoying, because I want my search engine to provide it's own behavior for when an address is unresolvable and this makes all unresolvable address impossible to detect. Not the answer you're looking for? Browse other questions tagged internet dns community-faq-proposed or ask your own question. 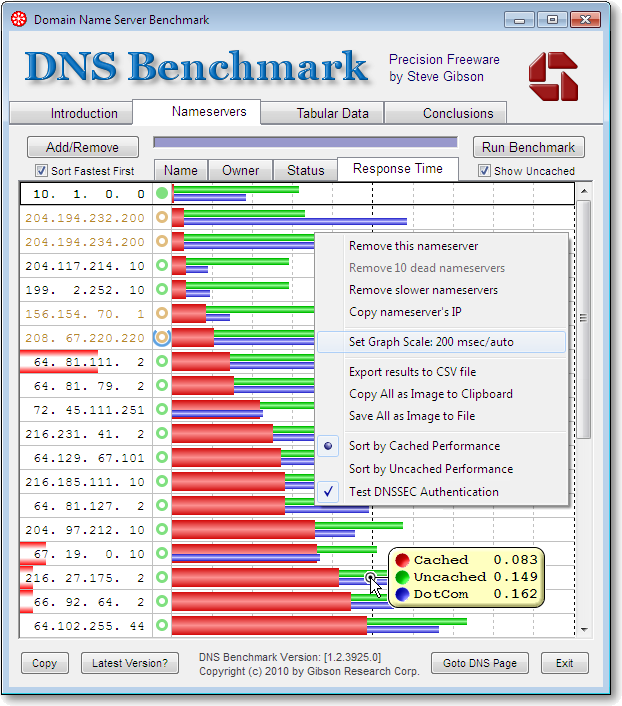 How can I know that my DNS is slow? Are Domain Name Server and Name Server the same thing? Why should I use DNS 8.8.8.8? Router intermittently loses signal, why?